Bothnian Sea National Park is a remote marine protected area at the western coast of Finland. The area is best known for its spanning environment for baltic herring and several other fish species. Further on it is important nesting area for many migrating bird species. The Wilderness Quick-Audits focused on 2 islands: Iso-Enskeri and Munakari Island. A European Wilderness Quick-Audit focused on islands because the marine part of the park due to ongoing extractive use (traditional, sport and commercial fishing) can not be consider as Wilderness according the European Wilderness Definition. The proposed Wilderness is a cluster of several small islands (with the total size of potential Wilderness ca 1,000 ha) imbedded in the Bothnian Sea National Parks. On Iso-Enskeri Island only souther part of island lie in the national park and the northern par of the island is a privately owned protected area. Munakari Island lie all in the national park. Each of these two islands is very different regarding vegetation. Iso-Enskeri Island is covered by think forest with spongy-moossy carpet at the ground. Munakari Island is covered by thick shrubs and has very rough and scening coast. Both islands have small pier for boats and simple day trip cabins, which provide shelters and picknick spots for visitors. 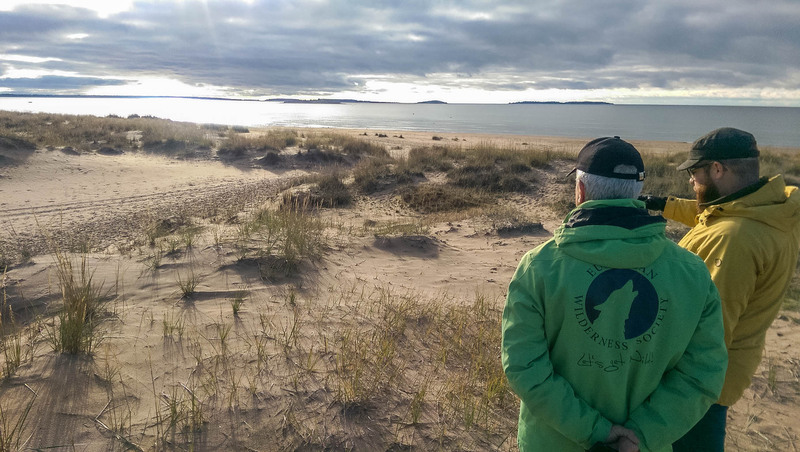 In the following steps the European Wilderness Society and the management of the Bothnian Sea National Park will work together to identify Wilderness Islands at the territory of Bothnian Sea National Park.